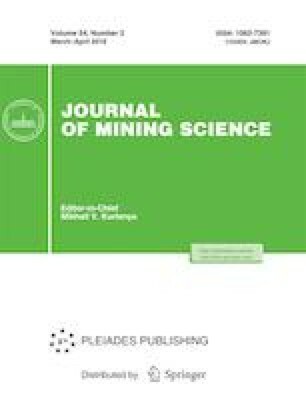 This study discusses the prediction of penetration rate and specific energy of button bit equipped rotary–percussion drilling machines from drill cuttings and geo-mechanical properties of rocks. The operational parameters of drilling machines measured from selected locations were utilized for the calculation of specific energy of drilling operations. For this purpose three on-going hydropower projects and four active mining quarries of Pakistan were selected. The drill cuttings were further used to determine various descriptors of the chip size distribution including the coarseness index and Rosin–Rammler’s absolute size constant. A complete set of geo-mechanical rock tests were conducted in the laboratory and includes uniaxial compressive strength, Brazilian tensile strength, point load strength, Schmidt rebound hardness, P-wave velocity, dry density, porosity and brittleness indices. Regression analyses were performed to predict the penetration rate and specific energy of drilling from geo-mechanical properties of rocks. The models so developed were also validated by adopting the t-test and the F-test statistical techniques. Moreover, statistical models were also developed to evaluate penetration rate from various descriptors of the chip size distribution. Dependence of bit size on coarseness index and mean particle size was also discussed. Published in Fiziko-Tekhnicheskie Problemy Razrabotki Poleznykh Iskopaemykh, 2018, No. 2, pp. 98–113.